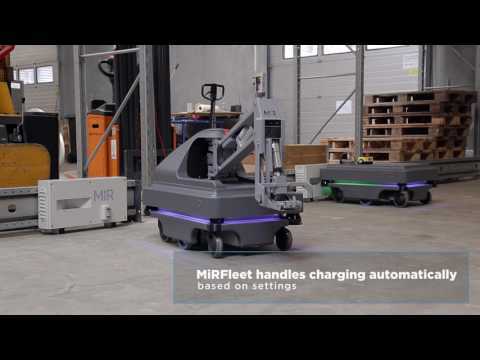 MiRFleet offers centralized control of robots from a single station, throughout all your facility, thanks to an intuitive web-based interface. 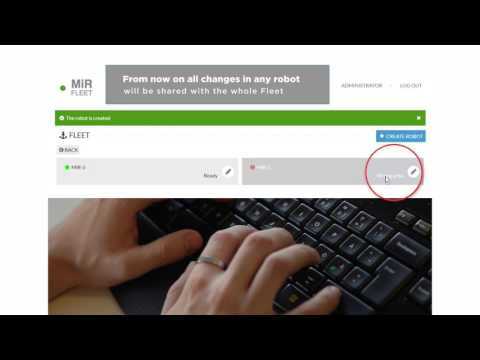 It is easy to program and control a robot fleet, including robots with different top modules, Hooks or other accessories. Once the programming phase is over, the system manages the priorities and selects the most suitable robot to the operation that needs to be carried out, based on position and availability. E-mail notifications keep you updated about obstacles or other possible unforeseen events that may prevent the robot from carrying out a task.